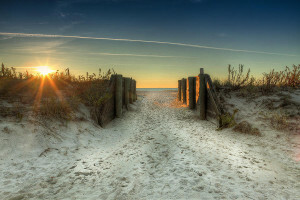 Spring in coastal North Carolina is a beautiful time of year. The weather is warming up and days are getting longer. Trees are turning green again, daffodils are popping their heads up out of the ground, and azaleas are starting to bud. It is a time of renewal and inspiration. Finally the cold days of winter that kept us locked inside the house are over and it’s time to get outside. In anticipation of summer, we hurry to try on our bathing suits…and cry. What happened? It’s easy for a few months of comfort food and lack of exercise to quickly creep up on us. Not to worry, we are here to help get you back on track. We will give you the resources to get you ready for summer! Here are some nourishing menu options to get started. 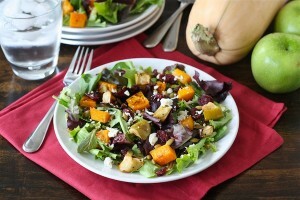 Eating whole, healthy foods is the crux of any plan to shed those extra winter pounds and often our go-to meal is salad. If you have grown tired of the same old garden variety greens, here are a few creative twists that will pack a delicious punch of protein and fiber to get you springing forward toward your goal in no time. These power packed salads will keep you feeling full and provide the nutrients you need to burn fat. While eating right is certainly important, your mind set also plays a huge part in your ability to lose weight. Your emotional well being is an integral part of being “fit”. For that reason, we incorporate yoga into our routine because it addresses both the mind and body. In addition to a regular exercise regimen, these asanas will help flatten your belly and ease your mind so that you can achieve the best you possible. We want you to enjoy this spring and feel ready for summer, so let’s spring forward together! Join us for our 2nd annual Seaside Spring Renewal Retreat this April to get the motivation and tools you need; healthy meal planning, yoga for wellness, great camaraderie, and time to reflect on becoming your ideal version of you! This entry was posted in Beacon house inn, Bed and Breakfast, Carolina Beach, Dining, General, Inn Events, Recipes, spring, Spring Events and tagged asanas, fitness, health, recipes, spring retreat, wellness, yoga by admin. Bookmark the permalink.